One of the most popular resorts on the Costa del Sol, Torremolinos has sun, sea and sand by the bucketful. This irresistible combo has made it a winning destination for anyone looking to kick back and take it easy for a week or two. 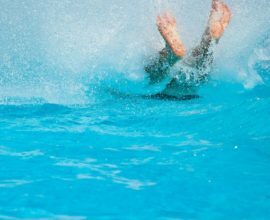 But you don’t need to pick between adventure and relaxation, as we’ve picked out our top 5 Torremolinos excursions to keep your summer holiday lively. 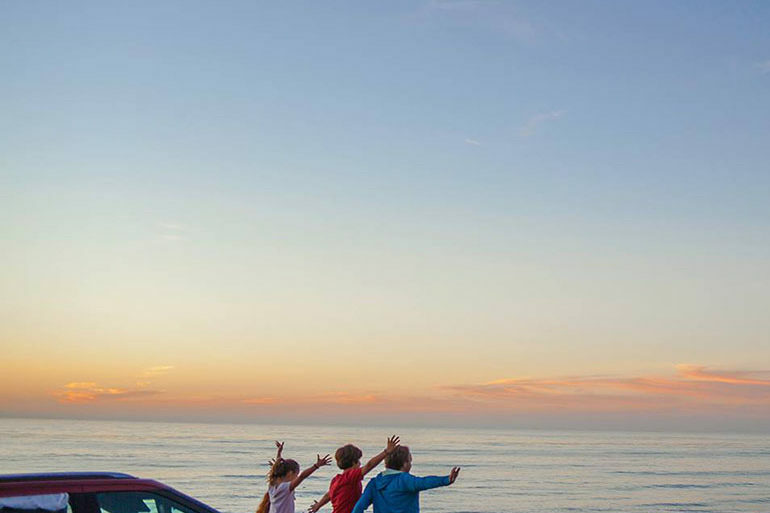 If you choose to hire a car, many destinations are under an hour’s drive, but there are still plenty of places accessible by public transport too. 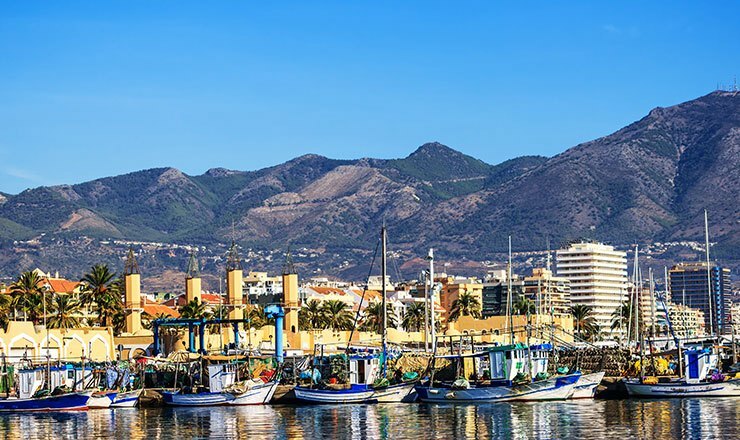 With a whole variety of Spanish life to uncover on Torremolinos’s doorstep, your week away could easily feel like five holidays wrapped up in one! 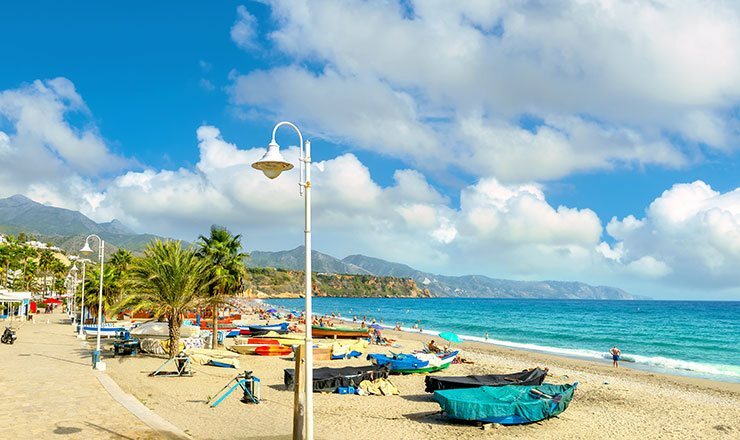 The journey from Torremolinos to Nerja should take you just over an hour, but it’s more than worth the drive to experience this more traditional slice of Costa life. Inhabited since at least Roman times, this historic town has loads of Spanish style, shown best by the many bright white houses covering the hillsides. With a host of beautiful beaches to choose from, you could be forgiven for just choosing to relax in the sun. Burriana beach is thought to be the prettiest, and it is also one of the most popular, with plenty of facilities and activities to help you make the most of its clear blue waters. Amongst the many places to grab some grub, Restaurante Ayo is a legendary presence on Burriana. It’s as famous for its giant paellas cooked over an open fire as it is for its lively atmosphere. 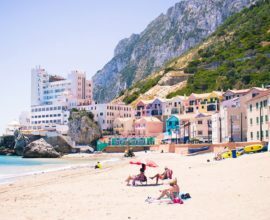 However, make sure that you pack comfortable shoes alongside your flip flops, as many of the streets are cobbled, with steep hills leading down to the seafront. If you’re looking for somewhere to cool off during the day, the so-called ‘Cathedral of the Costa del Sol’ is the place to go. A fantastic labyrinth of caves only discovered by curious schoolboys in 1959: this is a true Nerja gem. 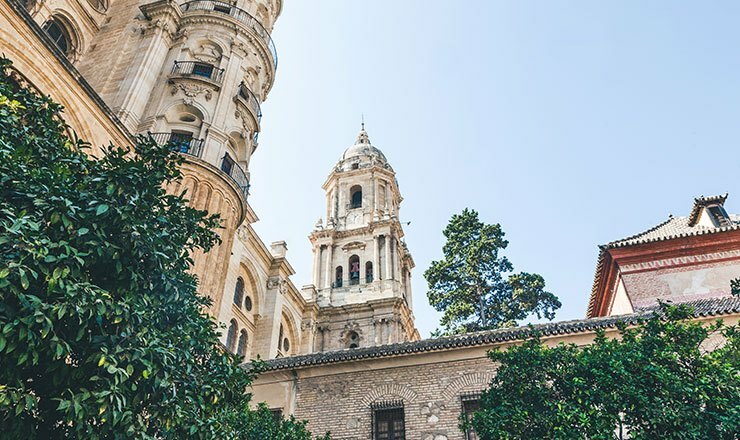 Thousands of people fly into the airport at Malaga, but many forget to take the time to look around, and miss this mini seaside Madrid entirely as a result. 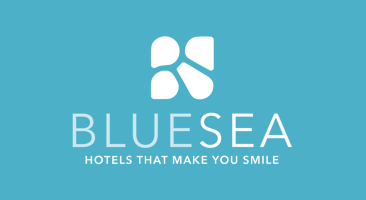 Luckily, it’s only a half hour drive, or about an hour on public transport, from Torremolinos to Malaga. If you choose to spend a day here, you are bound to be charmed by the romance of the buildings, including the Arabic designed Alcazaba, the mountaintop Gibralfaro Castle, and the Roman Theatre. 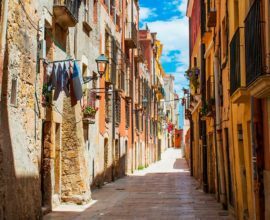 Being the birth place of Picasso, there are plenty of opportunities to satisfy your cultural side. Of course, you can visit the museum dedicated to Malaga’s most famous son, and see how his talent developed over his career. But for a taste of local art beyond Picasso, you could also visit the Carmen Thyssen-Bornemisza Museum. Apart from the art, the great climate makes it all the more pleasurable a place to kick back with a glass of wine. Plan to end your day with that authentic taste of Malaga: a dish of salted sardines slow-grilled over an open fire. One of the most popular towns with tourists and it’s easy to see why. Spend a day here and you’ll have your choice of food, clubs and activities, with the fun in Fuengirola not finishing just because the sun goes down. Spend your daytime enjoying one of the local golf courses to improve your handicap, before strolling along the Paseo Maritimo Promenade in the evening. This 3km seafront walkway provides plenty to explore, especially during the summer months when there are fairground attractions and gardens making this a firm family favourite. If you want a taste of adventure by the sea, El Ejido beach is at the foot of Sohail Castle. This impressive structure is sure to inspire more than a few games of pirates amongst the kids! Best of all, the ride from Torremolinos to Fuengirola is a super speedy 15-minute drive and under an hour by public transport. Top up your tan, put on your designer sunglasses, and indulge your inner VIP with a day trip to glamorous Marbella. As you drive in from Torremolinos to Marbella, the iconic Marbella Arch welcomes you. But these large letters aren’t the only thing in Marbella that’ll make you think of Hollywood. 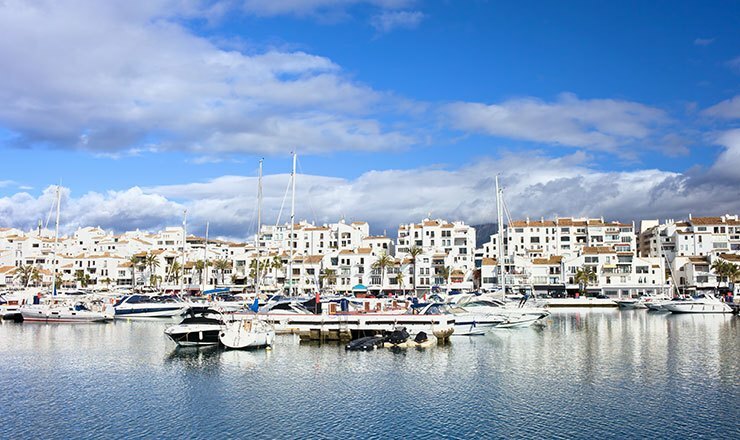 Walk by the Puerto Banus Marina and it won’t be long before you spot the yachts and supercars of the rich and famous. In fact, Marbella is well known for hosting the well-known, with plenty of celebs, actors, and jet-setters choosing Marbella as their break of choice. It’s not surprising as, with golden sands, blue waters, and a view of the La Concha mountain, Marbella delivers on luxury. If that isn’t enough to help you feel like a celeb for the day, then find a rooftop bar to sit back with a cocktail and watch the sunset. 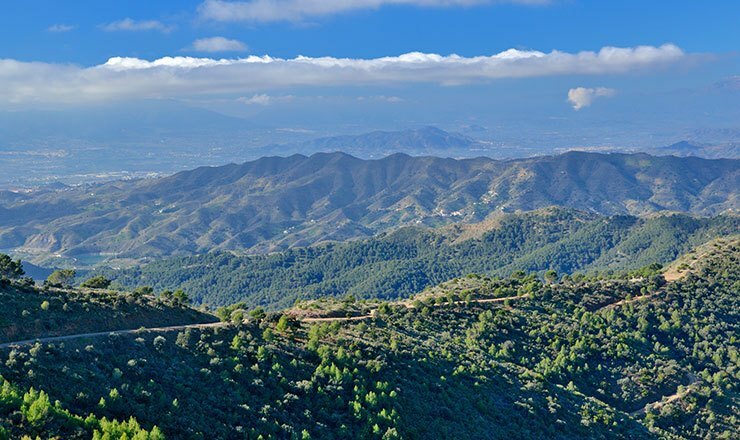 When you’re ready to take a break from the bustling streets of Torremolinos, Montes de Malaga Natural Park is the ideal place to relax and reconnect with nature. Choose from any one of five signposted walks to explore the outstanding natural beauty. There are many stunning views overlooking the Malaga countryside, complete with features such as waterfalls, as well as acres of pine trees. If you’re very eagle-eyed, people have been known to spot chameleons, but there are plenty of other lizards and geckos to watch out for too. After a hard day’s walking, you should try a plate of Plato de Los Montes, which translates as ‘the Dish of the Mountain’. A speciality of the area, it’s a hearty mixture of pork loin in lard, fried potatoes and pork sausage. However, that’s not all you’ll find on your plate, as it’s topped with fried egg, blood sausage and fried peppers. With such a great location making so many destinations easy to reach, Torremolinos day trips are a stress-free way of seeing more of Spain. If you’re already keen to explore everything Malaga has to offer, check into the Gran Cervantes for a fantastic 4-star Torremolinos base, just 500m from the beach.